I always pictured my ceremony as a very straight-laced, romantic, emotional and peaceful one. Thankfully, nothing goes according to plan and it was even better than I dreamt! I blubbered my way down the aisle, laughed about it once I got to the alter. Chris’ very meaningful ceremony left us feeling so very special and full of love. Our guests enjoyed it so much, that we had two separate couples approach us afterwards asking for Chris’s information to renew their vows! Thank you for such a special, funny, & memorable ceremony. Chris has been living in France since 2001 with his wife Jean, having had a holiday home here since 1989, after a 40 year career as a doctor. He was a GP in Swansea for 25 years and then spent 9 years working as a locum for the RAF in UK and Europe. 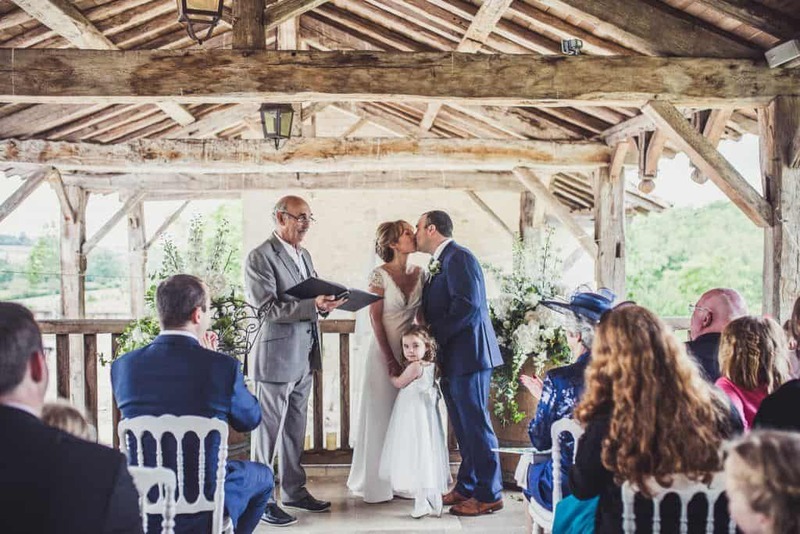 His initial involvement in with Celebrants in France was assisting Jean with her ceremonies. 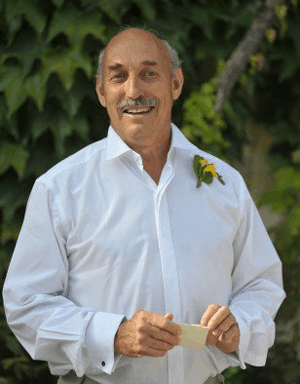 Since retiring he has become a full-time celebrant for the last three wedding seasons. 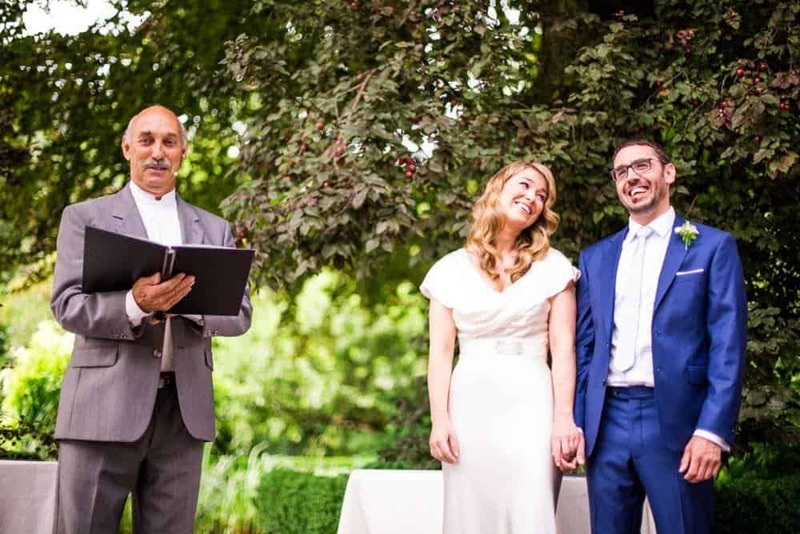 So he now has had a wealth of experience with wedding ceremonies and believes that there is nowhere better for a very special day. He enjoys meeting people, often from very different backgrounds, helping them to create a unique ceremony. 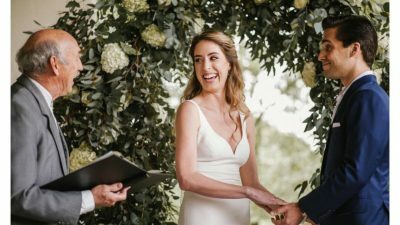 His personality and outlook on life help to ensure that his couples can relax and enjoy their wedding day knowing that their ceremony is in very safe hands.